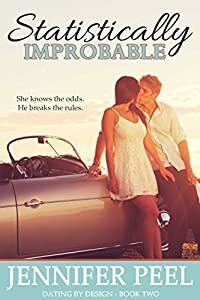 A contemporary, romantic comedy/drama that promises adventure, music, fun, suspense, and a load of emotional energy that will inspire, heal, and touch your heart. Renowned singer/musician Garry Danzlo has decided to live a life of seclusion after a debilitating accident destroys his musical career. Guilt-ridden and stubborn, he wants no part of the holistic nurse his sister has hired to rehabilitate him. He's determined to get rid of her; she's determined to stay. Spunky, fun-loving Amanda Fields, widowed after a loveless marriage, is on a mission for love. More than anything in the world, she wants to adopt an eight-year-old, wheelchair-bound boy named Robbie. When her chance arrives that will provide her with sufficient funds for the adoption, there's nothing to stop her from accomplishing the temporary job in Colorado. But what she has to contend with is far more than just a difficult patient. Unexpected obstacles are suddenly out of her control. 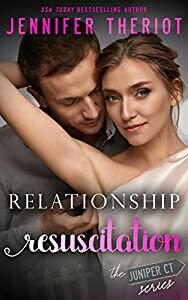 The least of her worries is falling for yet another man who doesn't love her back. This twelve-time award-winning novel - chosen by Wind Dancer Films for possible film/TV - explores the various facets of the heart and how we observe them in life. The story portrays how love can go far deeper than skin and shares the importance of forgiveness to find true peace within. When Mona Lisa Cicciarelli is left at the altar by Joey and his overbearing mother Alice, Mona Lisa wonders what will be worse―the pitying stares from her friends and family or her parent’s renewed obsession with the age of her ovaries and impending spinsterhood. 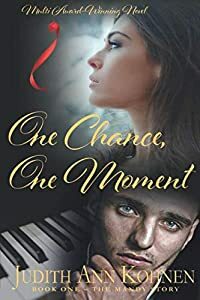 Her father, Chick, tries to fix her up the day after she is jilted with the handsome, Italian-Catholic Dante Coletti, and it is then that Mona Lisa realizes her sanity is at risk. 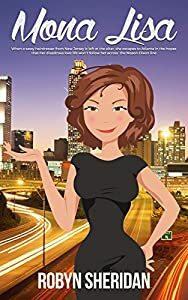 She needs to make a big change and when she’s offered a job opportunity in Atlanta, she consults Noni, her eccentric grandmother and closest confidante who gives her the push she needs. To make matters more interesting, Zander approaches her with an unusual proposition. He's in need of a pretend girlfriend. Meg thinks this could be the answer to get him out of her system,and maybe knock the arrogant man down a few notches in the process. But what she doesn't realize is there is more to this man, something he carefully hides behind his arrogant exterior. And when her feelings begin to be anything but pretend, she knows the odds of getting hurt are more than probable. When your back is against the wall, can you change the person life's experiences have molded you to be? Fiona Pierce is many things to many people. Dutiful daughter to her loving parents, fiercely loyal friend to her very tolerant bestie, half-assed employee to her laundry list of bosses, and dedicated fashion goddess and spreader of good cheer to the world at large. But Fiona is hiding something behind her irresistible smile - something she's determined to keep to herself. Mark Beckett doesn't do complicated. Saddled with lingering baggage from his childhood, Mark sails through life one girl at a time - with frequent gym breaks in between. He likes his life just how it is and doesn't see any need to change his work hard/play hard attitude. When an unexpected blast from the past threatens to turn his family's life upside down, Mark finds help in the unlikeliest of places - specifically the pint-sized princess who has a knack for pushing his buttons. Can you overcome your fears and embrace the happiness you might just deserve? And, perhaps more importantly, can you really fall in love with someone who is so damn insufferable? Find out in The Spark by Sylvie Stewart. 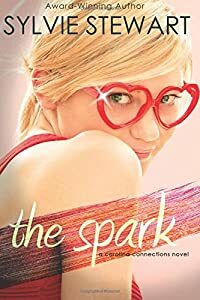 The Spark is the second book in the "Carolina Connections" series from Sylvie Stewart. Each book can be read as a standalone with a HEA. This book contains adult language and sexual content inappropriate for readers under 18. Take My Husband Please is an unconventional romantic comedy set in Austin, Texas, about a couple getting a divorce and a second chance at love and romance. Their tenuous relationship will be tested by five blind dates and a hot bachelor, and no one will survive unchanged. 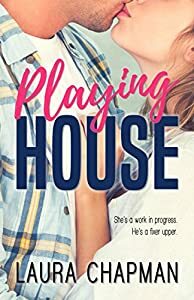 With the ink on her divorce nearly dry, rookie realtor Sophie Camden is ready for some fun, excitement, and adventure. Only one teensy complication for this mother of two: her ex insists on moving home after his unexpected personal meltdown. A layoff, investment disaster, and his dad's death have brought Will Camden's life into harsh perspective. The cherry on top? Sophie filing for divorce--not that he blames her; he left her no choice. All he wants now is to regain financial footing and be a better father to their kids. That, and to quit obsessing about his wife. Thing is, if she discovers his plan to liquidate everything, including her house, she'll hate him forever. When Sophie's new guy is reluctant to date her unless Will is verifiably out of the picture, she gets entangled in a bet designed to keep Will "occupied" by dating five women of her choosing. Ugh, she just wanted to get rid of him! But soon enough, she turns her unfortunate task into a delicious payback. 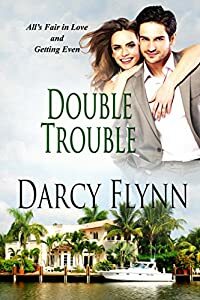 While the hottest bachelor in town pursues her and the biggest real estate deal of her life hangs in the balance, the man who gave Sophie up--suddenly Daddy of the Year--seems determined to sabotage her future with a new man who could give her everything. With chemistry on screen, it’s only a matter of time before sparks fly behind the scenes as well. But with Bailey’s jaded views on romance and a big secret that could destroy Wilder and everyone he cares about are either of them willing to risk it all for love?